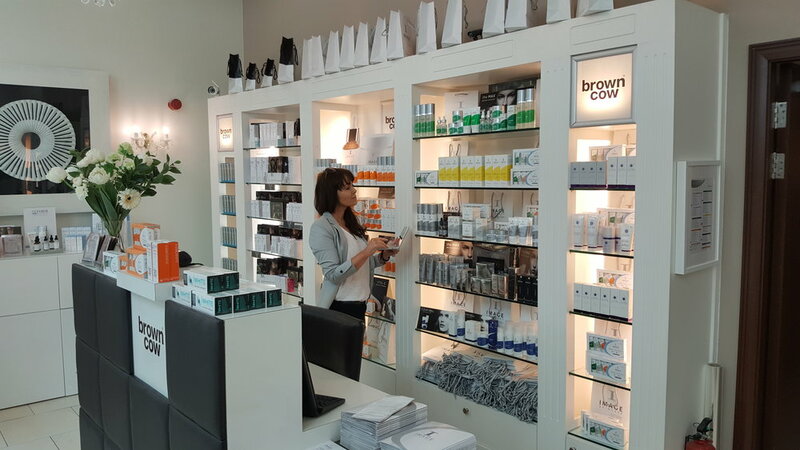 at brown cow we are delighted to incorporate new and exciting 'events' where we invite you - our wonderdul clients - to join us for some of the most innovative experiences in skincare. have your skin analysed by our experts and be given a breakdown of exactly what your skin needs to remain as beautiful as it can be! using the best technology available is this possible! see it to believe it. Please call us on 01-2945541 to book in for your complimentary skin analysis! Welcome to Brown Cow. Your Skincare Specialists. Meet Emma, The Skincare Expert. Dibi Milano is now landed with us! Get your complimentary state of the art skin analysis while you are in with us! Some snaps of our past events for you to enjoy - Be a part of the next event! 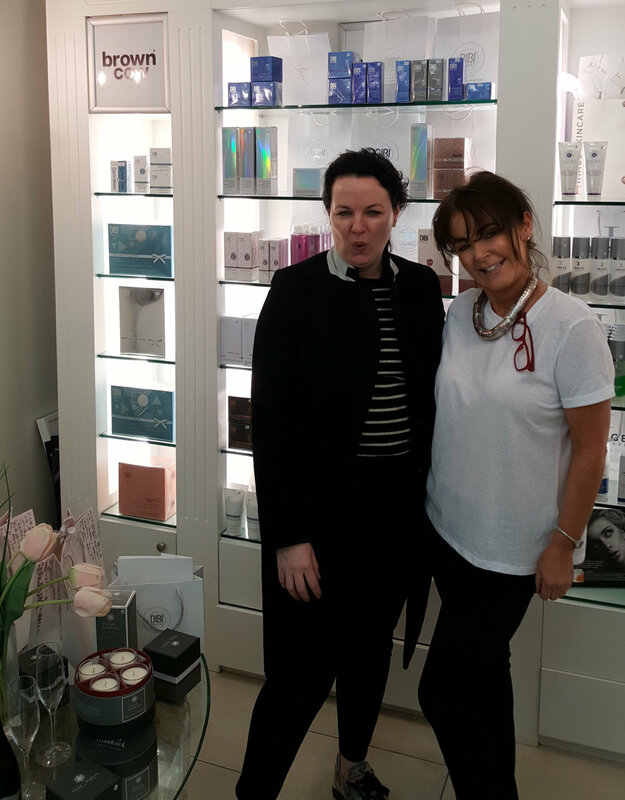 It was our great PLEASURE to welcome Triona McCarthy to our Salon for a wonderful Facial using the absolutely STUNNING Dibi Milano Products! Emma talking Sue through her Skin Scan results and recommended products! Sue peruses the many options available at Brown Cow Carrickmines! Nona and Kerrie proudly boasting their Image Training Certificates - Surrounded by Excellence!! !